Author explores the back trails of Banff on a family vacation. Enjoying the snowfall together in Banff. Bundling up baby for a walk outdoors in Banff. Tobogganing with the baby at Sunshine Village. 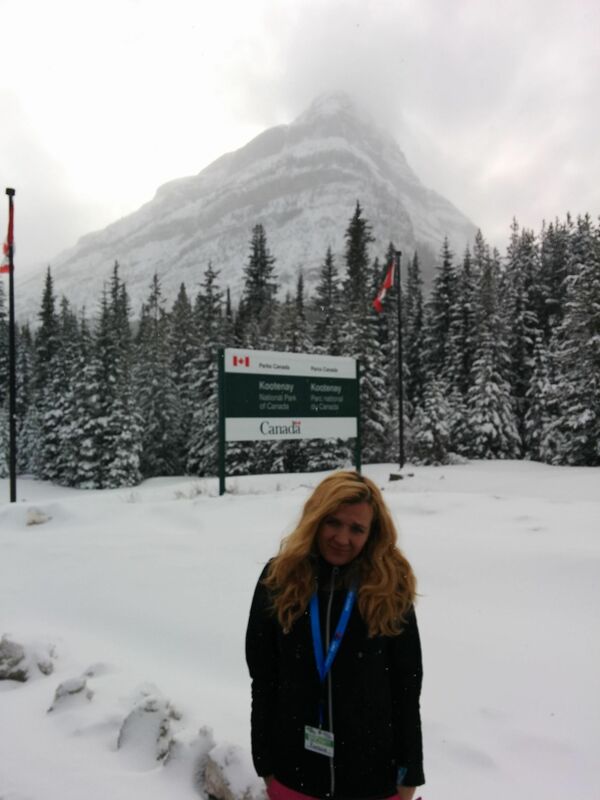 Discovering Banff National Park in winter. 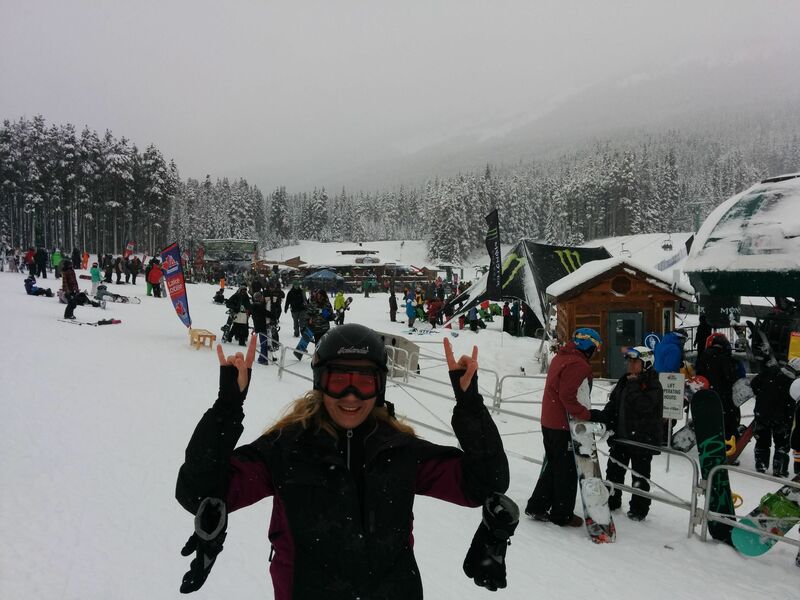 Great powder day at Lake Louise ski resort. The charming little town of Banff and its endless surroundings will steal your heart forever once you get to know it! We have been going to Banff now every winter for 7 years, and didn’t get enough of it. This splendid wonderland is a beautiful playground for toddlers to grandparents: everybody has a blast, so many things to do, so many places to see, and first of all, so much beauty. However, when you are travelling with kids to Banff, you should plan it thoroughly, considering also the distances in Banff National Park. When you’re looking for the perfect family vacation, there are a few key elements that you want to look for, such as: a kid friendly hotel, pools for the kids to play in to their heart’s content; airport shuttles to make life smoother; free breakfast that can save a couple hundred dollars over a long weekend; kid friendly restaurants, so you can all enjoy a nice evening. Sunshine Mountain Lodge has a special place in our hearts. it’s a slice of heaven shining above the clouds! located right in the heart of the mountain at 7,200 feet, accessible only by the gondola that transports you up from the parking lot to the base of Sunshine Village Ski & Snowboard Resort. Holding the title of the only ski-in/ski-out accommodation in Banff National Park, you’ll be the first on the slopes each morning. Staying here is more than a hotel – it’s an exceptional experience that will bestow your family with life-long memories. 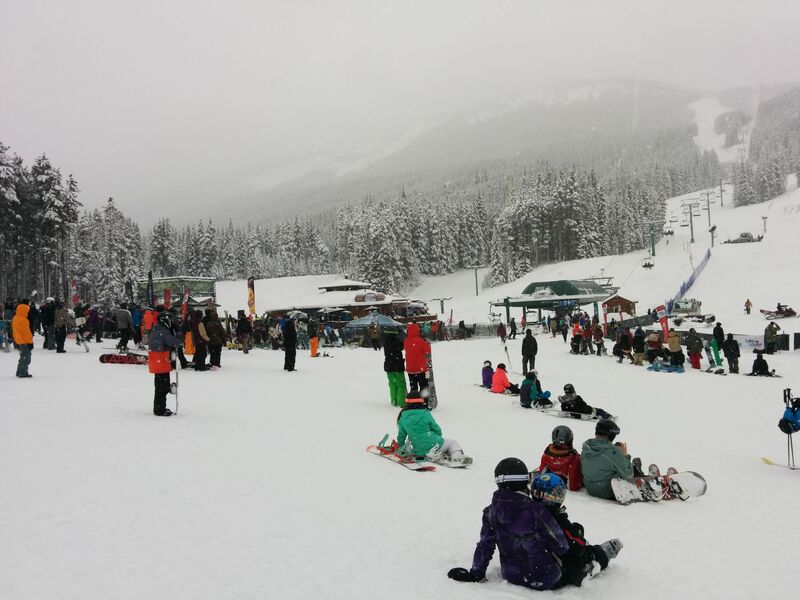 Lots of complimentary family activities & programs available throughout the season, from tobogganing to family games and …the best crepes in the Rockies! Their kid ski programs are excellent! And it seems they always run some special offers, like get every 4th or 5th night free and ski free. A winter wonderland at The Fairmont Chateau Lake Louise will just send you to kids’ heaven! 45 minutes west of Banff you will discover this luxury family base camp for adventure. The Chateau is known for its champagne powder and unique amenities like a giant ice castle, skating rink, horse drawn sleigh rides, an outdoor ice bar and much more. Catch the complimentary shuttle just 10 minutes to the Lake Louise Ski Resort, or step out the front door to miles of groomed cross country ski trails and snowshoe trails. A favourite activity in Lake Louise is going on a moonlit snowshoe adventure with the hotel’s Mountain Heritage Guides. Listen to the silence of the mountains while learning about the constellations above. Guided snowshoeing and cross country skiing is also available during the daylight hours with the Mountain Heritage Guides. The Guides are the most knowledge people about all things Rocky Mountains, from nature to animals to history. You will forget you travel with kids when you stay here! This year round resort seems like a small city within itself. 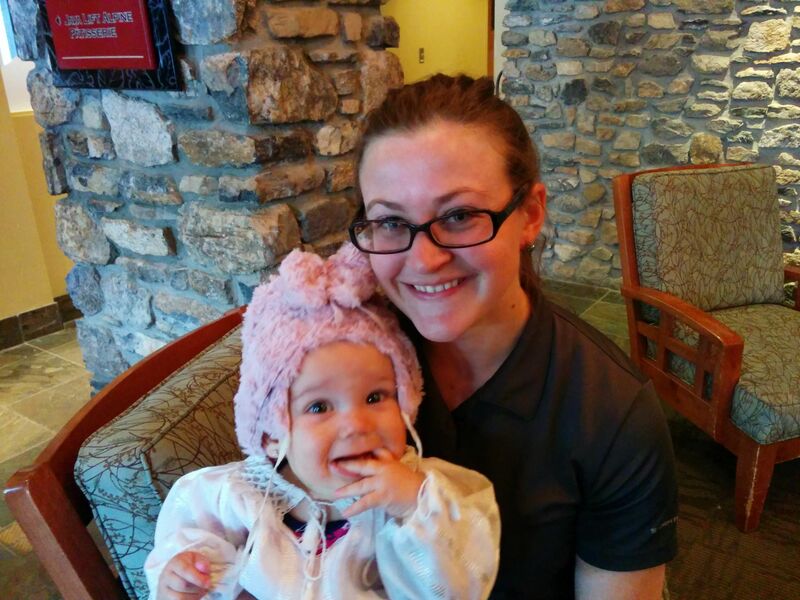 Again, one of the most Banff kid friendly hotels, you will feel the warm welcome from the friendly staff as you wander throughout the magnificent building. Around every turn is hidden nook to cozy up with a book in, or a grand ballroom filled with history. The little guests even have their own Club: The Fairmont Banff Springs Kids Club brings a learning experience for your little ones from ages six to thirteen. Children have the opportunity to explore the wonders of the Fairmont Banff Springs Hotel and Banff National Park with experienced professional staff. Their programs focus is on developing a sense of adventure for each child through exploring the beautiful surroundings. Not only is Kids Club fun, it provides the children with a chance to learn lots of stuff. The Kids Club summer program has a weekly itinerary with a different special activity or field trip taking place each day. They also provide a large assortment of activities, adapted to best suit the children present. This one is also a popular option among the best Banff kid friendly hotels, due to its generous waterpark that will have the kids begging for more. If you are a “water family” , then you visit it. Two giant waterslides offers excitement and fun for the whole family as they twist and turn into the pool below. There’s also a big swimming pool and a little kiddies pool. And when you want to relax, there’s a jacuzzi for up to two dozen people and a large steam room to marinate within. There’s also an indoor Playzone (seems to be the largest in Western Canada at over two-storeys high and 36-feet long) that kids will absolutely adore. The interactive structure is designed like a giant treehouse, with slides and tunnels and nets. How to book: try www.enjoybanff.com central reservations for Banff, they will customize your vacation and book anything you need, from sleighrides to passes for Banff Upper Hot Springs. When to visit Banff: all year round is beautiful, with summer as peak season and winter as low season. But that makes Banff a very affordable ski/winter destination 🙂 and there is never a shortage of snow in the Canadian Rockies.